Website archiving and hosting from Webarchitects Co-operative. If you would like a website archiving please see our Website Archiving Service page. If have any issues with the sites archived here please get in contact. This is an archive of the Follaton Green Travel website, follatongreentravel.co.uk.archived.website. This is an archive of the Greenwich Co-operative Development Agency website, gcda.coop.archived.website. This is an archive of the Origins: Heritage of First Nations is an oral history project website, originsproject.org.uk.archived.website. This is an archive of the Zero Carbon Yorkshire MediaWiki website, wiki.zerocarbonyorkshire.org.archived.website. This is an archive of the Occupy Sheffield WordPress website, occupysheffield.org.archived.website. This is an archive of the Sheffield Anarchist Bookfair WordPress website, sheffieldbookfair.org.uk.archived.website. This is an archive of the CoTech WordPress website, coops.tech.archived.website. This is an archive of the Change Agents Co-operative website, changeagents.coop.archived.website. This is an archive of the Fafff! Films and animations by Henry Butcher Drupal website, fafff.co.uk.archived.website. This is an archive of the Plane Stupid Drupal website, planestupid.com.archived.website. This is an archive of the Polygon Arts Drupal website, polygonarts.org.uk.archived.website. This is an archive of the CRIN Trac site moved to git.coop, trac.crin.org.archived.website. This is an archive of the Sheffield Co-operative Development Group's static website, scdg.org.archived.website. This is an archive of the static Joseph Barker Plumbing & Heating website, jbph.co.uk.archived.website. This is an archive of the Moving Tone Music Arts Drupal website, movingtone.com.archived.website. This is an archive of Anne L Ryan's Drupal website, annelryan.co.uk.archived.website. This is an archive of the La Soja Mata Drupal website, lasojamata.net.archived.website. This is an archive of the HMS Resolute website, from before the migration to WordPress, hms-resolute.co.uk.archived.website. This is an archive of the Layer Zero Labs WordPress website, l0l.org.uk.archived.website. This is an archive of the OpenSpace Co-operative Drupal website from May 2018, openspace.coop.archived.website. This is an archive of the Swansfield Stables static HTML website from May 2018 from before it was migrated to WordPress, swansfieldstables.co.uk.archived.website. This is an archive of the Oxfordshire Community Land Trust Drupal website from May 2018, oclt.org.uk.archived.website. This is an archive of the Dublin Food Co-op Drupal / CiviCRM website from April 2018, dublinfood.coop.archived.website. This is an archive of the Covered in Bees Drupal website before it was migrated to WordPress in April 2018, coveredinbees.org.archived.website. This is an archive of the Burngreave New Deal for Communities Area Map website, maps.bndfc.co.uk.archived.website. This is an archive of the Southwark Association for Mental Health website, samentalhealth.org.uk.archived.website. This is an archive of the SolidariTEA website, solidaritea.org.uk.archived.website. This is an archive of the Let's Get Together website, lgt-cafe.com.archived.website. This is an archive of the 3 Sloes website, 3sloes.co.uk.archived.website. This is an archive of the @OccupyLondon twitter feed, occupylondonarchive.org.archived.website. This is an archive of the Co-operatives Yorkshire and Humber WordPress website from 2018, after the organisation had ceased to operate, cooperatives-yh.coop.archived.website. 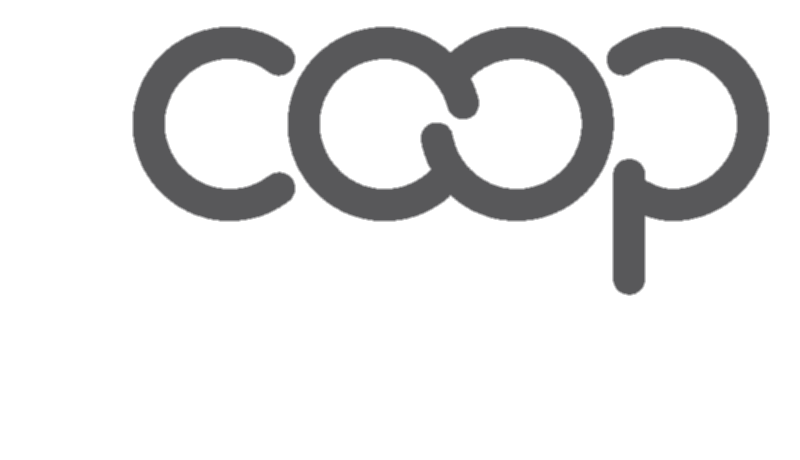 We also have an older archive of their Drupal / CiviCRM site from 2014, archive.cooperatives-yh.coop.archived.website. This is an archive of the Alitura Landscape and Garden Design WordPress website, alitura.co.uk.archived.website. This is an archive of the Green Bike Project WordPress website, greenbikeproject.net.archived.website and they also had a Doku Wiki wiki.greenbikeproject.net.archived.website. This is an archive of the MESH Community Cohesion Services website from before they migrated their live site to WordPress, meshccs.org.uk.archived.website. This is an archive of the Sheffield Quakers Drupal website from January 2018, before they migrated their live site to Wordpress, sheffieldquakers.org.uk.archived.website. This is an archive of the Wicked World Tours website created in January 2018, wickedworldtours.org.uk.archived.website. Archives of the Transition Sheffield websites (lists, forums, wiki etc), transitionsheffield.org.uk.archived.website. This is an archive of the Sheffield Women's Counselling & Therapy Service MKDoc website, swcts.org.uk.archived.website. This is an archive of the Moving On Up MKDoc website, movingonup.info.archived.website. This is an archive of the Green City Action MKDoc website, greencityaction.org.uk.archived.website. This is an archive of the Burngreave New Deal for Communities (BNDFC) MKDoc website, bndfc.co.uk.archived.website. This is an archive of the Webarchitects Notes MKDoc website, which was basically an internal Wiki notes.webarchitects.co.uk.archived.website. This is an archive of the MKSearch MKDoc website, mksearch.mkdoc.org.archived.website. This is an archive of the Burngreave Community Action Forum (BCAF) MKDoc website from 2011, bcaf.org.uk.archived.website. This is an archive of the In-Between MKDoc website from September 2017, before it was migrated to WordPress, in-between.org.uk.archived.website. This is an archive of the BitFixIT website, bitfixit.org.uk.archived.website. This is an archive of the Onekind Scotland website, onekind.scot.archived.website from July 2017, before it was migrated to WordPress. This is an archive of the William Morris House website from May 2017 before it was migrated to WordPress, williammorrishouse.org.uk.archived.website. This is an archive of The European Services Strategy Unit MKDoc website from early 2017 before the site was migrated to WordPress, european-services-strategy.org.uk.archived.website. This is an archive of the Sheffield Samba Band website, sheffieldsamba.blackfish.org.uk.archived.website. This is an archive of the Matilda Social Centre website, matilda.aktivix.org.archived.website. This is an archive of the Squaf Social Centre website, squaf.aktivix.org.archived.website. This is an archive of the Mooreen Social Centre website, mooreen.aktivix.org.archived.website. This is an archive of the RisingUp Bristol website, bristol.risingup.org.uk.archived.website. This is an archive of the Booth Centre MKDoc website, boothcentre.org.uk.archived.website. This is an archive of the Webarchitects MKDoc website, webarchitects.co.uk.archived.website. This is an archive of the MKDoc.com website, mkdoc.com.archived.website. This is an archive of the MKDoc.org website, mkdoc.org.archived.website. This is an archive of The Burngreave Messenger's MKDoc website, burngreavemessenger.org.uk.archived.website. This is an archive of the Irish Democrat MKDoc website, irishdemocrat.co.uk.archived.website. This is an archive of the Hazelhurst Community Supported Agriculture Co-operative's website, the field is still being used to grow organic vegtables but the co-operative has ceased to exist hazelhurst.coop.archived.website. This is an archive of a site produced in the run up to the 2015 UK general election fuckoffbacktoeton.co.uk.archived.website. This is an archive of a Trac site (tickets and a wiki) which documents all the tech work done by the Transition Network between 2010 and 1026, it is now available at trac.transitionnetwork.org.archived.website. This is an archive of a MediaWiki site which was never used much, it is now available at wiki.transitionnetwork.org.archived.website. This site was created as a static archive for photos and audio from Transition Network conferences in 2010, 2011 and 2012, it is now available at static.transitionnetwork.org.archived.website. ep>This site was originally a Drupal site, established as part of the Technology and Social Action project to foster dialogue and collaboration between activists in social movements, voluntary and community organisations and technology designers, it was turned into a static HTML archive by Webarchitects and is now available at technologyandsocialaction.org.archived.website. There is also an associated site at hs.technologyandsocialaction.org.archived.website.